Have you ever said .. The Exploring Meditation eCourse is a 31-day immersive online program designed to bring meditation into your daily life. 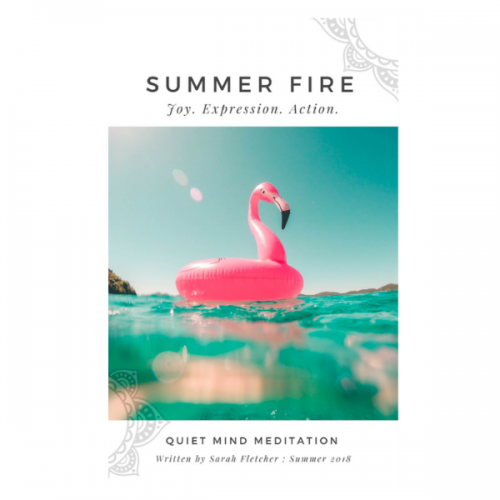 The program includes daily instructions, video tips, and audio files, and general MOTIVATION to support you in starting your very own meditation practice .. .. all from the comfort of your home, office or holiday destination .. even the beach! What do we cover on the 31 Day Exploring Meditation eCourse? * we introduce a range of different techniques so that you can find the best practice for you .. this is the SECRET! * find out what all the fuss is about .. why highly creative and inspirational leaders (and organizations) are learning meditation and why you are now hearing about Mindfulness in the media, education, human resources, and health sectors. Our daily email format is designed to support and inspire you to continue committing to a daily meditation practice .. acting as a gentle reminder each day for 31 days (long enough, science say’s, to build a habit). * Dislike group classes in anything! * Your just ready .. and it’s about time! 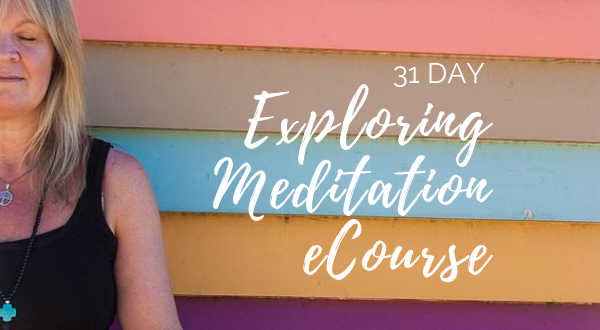 A few days before officially starting the 31 Day Exploring Meditation eCourse you will receive an email with some meditative goodies to get you started. Think of this as .. tips to get you in the mood such as articles: Inspiring People Who Meditate and Why and What The Brain Does in Meditation. Bonuses: Get one of our door-hangs Quiet Please .. Meditating to print out and use at home (or the office) to let those around you know that you do not want to be interrupted, along with a Meditation Calendar to track your progress and commitment. HOW IS THE eCOURSE STRUCTURED? Each morning (at sunrise or thereabouts in Australia) you will receive an email with a theme for the day along with instructions for practice, some reading to develop your understanding, and a daily Meditative Exercises to consolidate and build your experience. Each week we shall focus on a different meditation technique, to encourage exploration and the finding of a practice that resonates with YOU! A weekly guided practice (by Sarah Fletcher) will further support your journey, and there will be tips and resources for the continued development of your own personal meditation practice. Week 1: Establish foundational techniques of Body and Breath Awareness (Mindfulness); resources for building the habit of meditation, the importance of a sacred space and finding comfort in your posture, and some of the ‘nuts and bolts‘ of meditation (the why and the how). Week 2: Zen Breath Counting + Focused Attention Exercise; the brain on meditation, how to track your progress with biofeedback, and a review of FAQ. 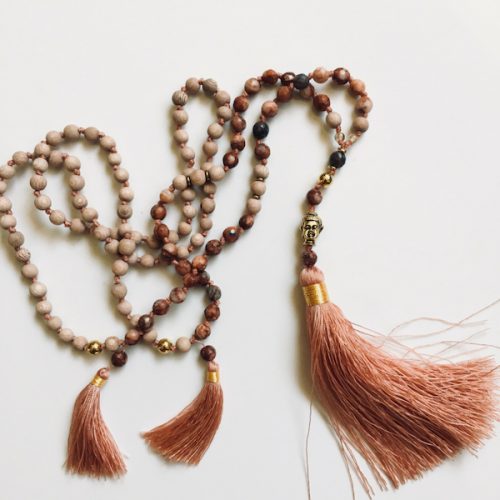 Week 3: Mantra Meditation + Mudra + Bodyfulness; the art and the science of meditation, how to ground ourselves with bodyfulness and mindful movement, and how to bring mindfulness into daily life. Week 4: Sarah will introduce a simple but powerful daily practice that embraces the body, breath and silent mantra; and tips on how to continue nourishing and supporting your practice, and investing in your Wellness Account. At the end of this course, if you follow the program and DO THE PRACTICE, you will have established a regular seated meditation practice. 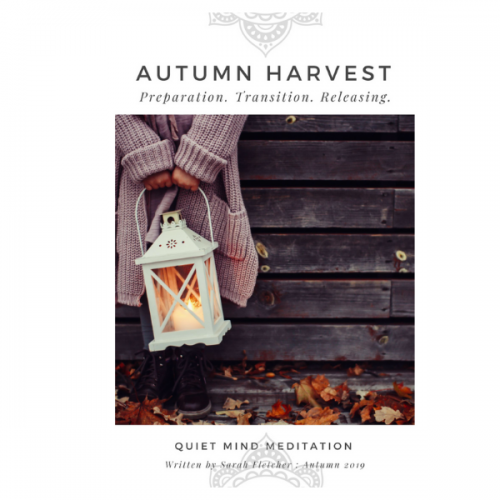 This means you will have cultivated your ability to meditate for a period of time each day that suits you, and have a map for continuing to engage with your meditation practice .. along with a workbook of instructions for future reference. $2 per day is an excellent ROI! The Exploring Meditation eCourse is built around our very popular six-week Exploring Meditation Course which has been running real-life classes for more than eight years. Sarah has over 25 years experience as a meditator and has been sharing this life skill as a teacher for ten years. She teaches a variety of different meditation practices, recognizing that there is not one size fits all, nor one right way to meditate. Her teaching style is relaxed, practical and engaging to ensure that meditation is available to everyone. Sarah is a certified Meditation & Mindfulness Teacher and a member of the Meditation Association of Australia and considers meditation a life skill that everyone can learn. This eCourse is crafted to provide a straightforward, engaging and sustainable course of learning for those new to meditation, coupled with insights from Sarah’s own meditation journey. “The Quiet Mind Meditation E-Course has been a blessing in hectic times. I always wanted to start meditating but never found the time or the class that suits my needs, with the e-course I had the tools to develop my own practice from the very beginning. As a beginner, I loved the course because it guided me step by step to build a meditation practice that now I can use anytime I need it. And having Sarah’s support to tailor the homework to my personal circumstances and answering all my questions was like having my own particular teacher to guide me in this meditation journey. Incorporating a regular meditation practice in my life has helped me improve my wellbeing and my productivity, now I feel better and more focused. And, anytime I start feeling overwhelmed I just close my eyes and practice one of Sarah’s homework to reconnect with my breath and feel more calm and empowered.